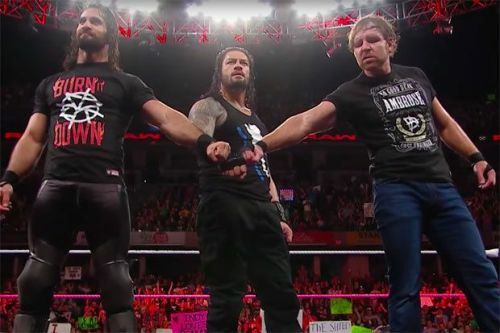 Roman Reigns, Seth Rollins and Dean Ambrose once again reunited to form The Shield this week on RAW. 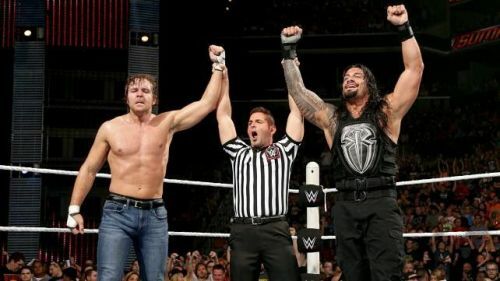 The trio will now battle as a team at WWE Fastlane. This will be the first PPV match of Roman Reigns in 2019, and it ought to be a big one. However, the group may not be able to compete as a team at the grandest pay-per-view of WWE, WrestleMania, as Seth Rollins is in the Universal Championship match against Brock Lesnar. A lot of fans think that WWE will somehow insert Roman Reigns into this feud but it should not happen as the WWE Universe may turn their back on the Big Dog if he is pushed to the top so soon. Seth Rollins as the Universal Champion and Dean Ambrose and Roman Reigns as RAW Tag Team Champions! Seth Rollins will, without a doubt, win the Universal Championship from Brock Lesnar at WrestleMania 35. If WWE plans to keep The Shield as the top faction of the industry, then should have Roman and Dean also win gold at WrestleMania 35. And it will always be better to have them in the Tag Team division rather than having one of them compete for the Intercontinental Championship. The Hounds of Justice can capture the gold at the Grandest Stage of Them All and officially kick off their era on the RAW after WrestleMania. With big names like John Cena and The Undertaker still not confirmed to appear at the event, WrestleMania can be Shield's night.